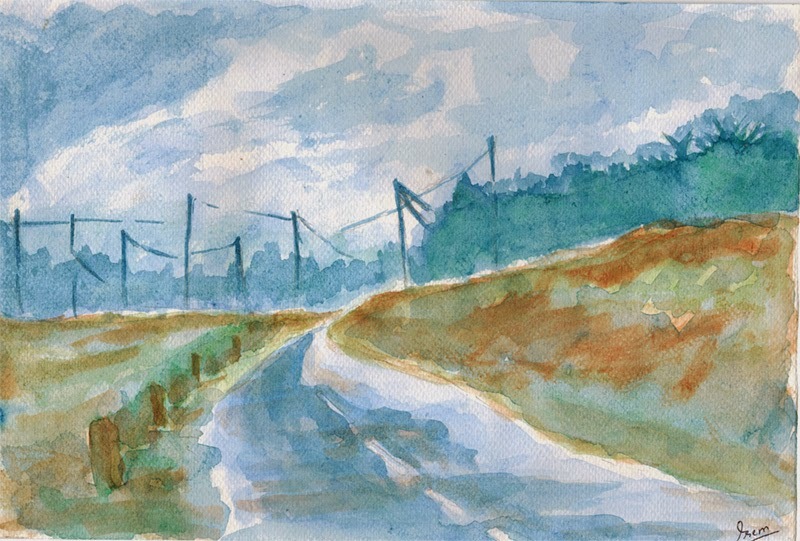 I am again getting back to painting, and these four recent watercolor paintings are the proofs of what I am saying. I've been doing some portrait sketches though, which I cannot publish here for privacy reasons. I hope to do more portraits of public figures and then post them here soon. This is the latest one I have done. It is the scene of Mt. 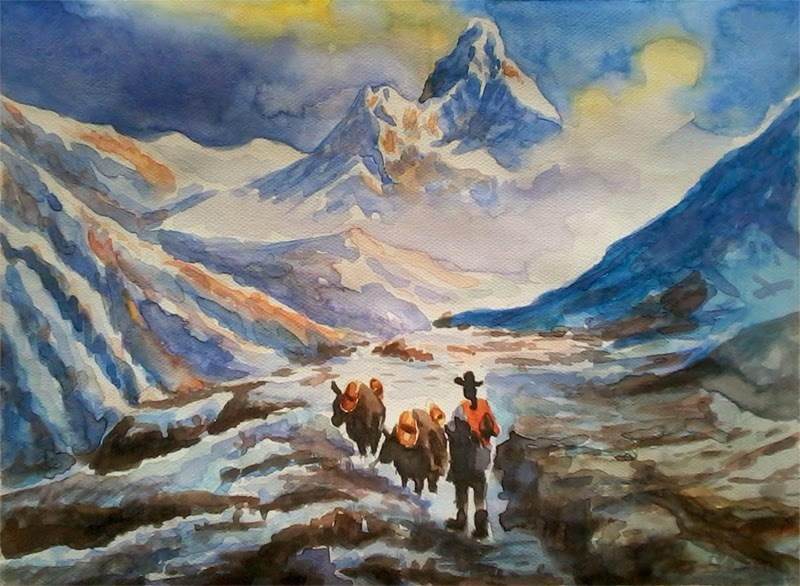 Ama Dablam, which is the third most popular peak in Nepal for permitted expeditions. This is a rural scenery with Mt. Machhapuchhre in the background. 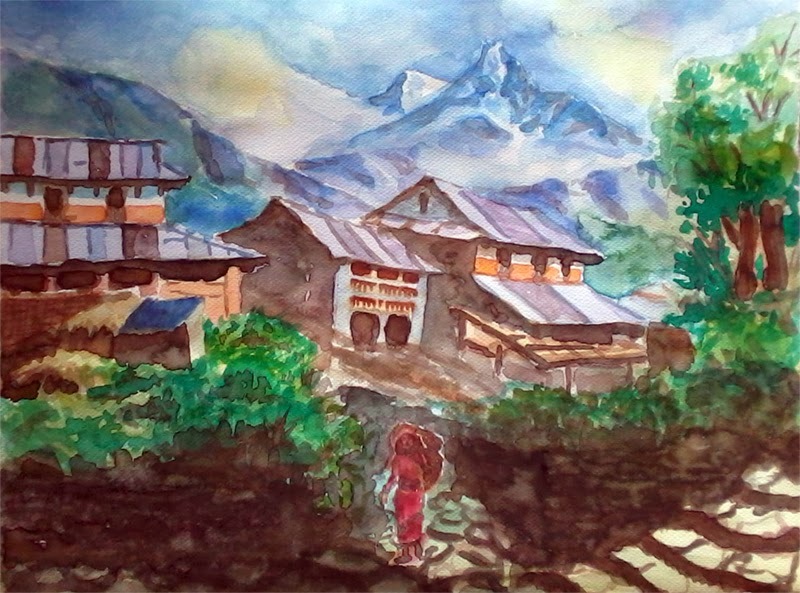 This is the portrayal of rural village of Nepal. This is a highway in the sub-urban area. 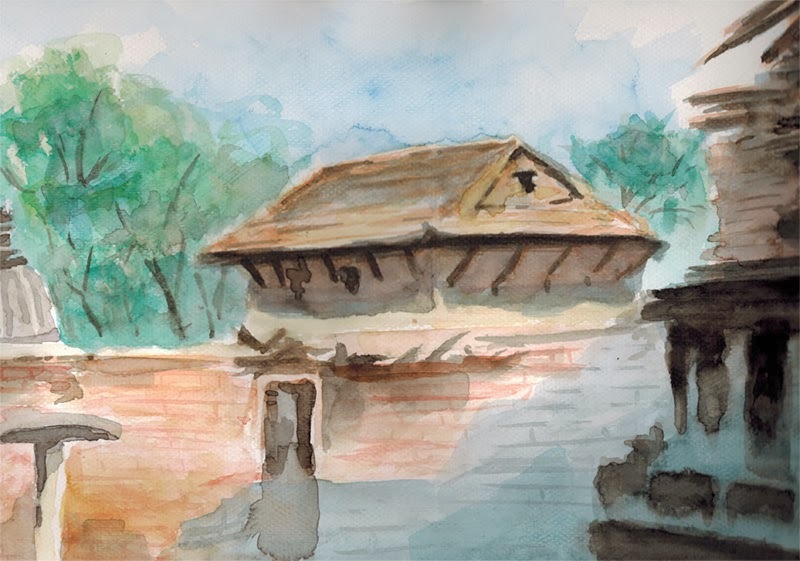 This is a portrayal of religious site of Nepal. Nepal is full of such places which are suitable for both religious pilgrimage as well as casual tourism. I will keep posting other works as I do.